A sum of Rs 78 lakh was released to the contractor without checking the quality of material used for the project. Leakage was noticed at 175 points during testing. Action has been initiated against three officials of the Haryana Public Health Department. Our Viewpoint: Generally corrosion of pipelines is the prime reason for profound water leakage from old assets. In the present case, use of sub-standard material paved the way for leakage in the brand new asset. Material selection for the water infrastructure is very crucial in putting the right material that is suitable for handling the water of various compositions without leak incidents throughout the life cycle. It is not a straight forward selection based on the quality marks like ISI/ISO accorded for the supply. Composition of water varies from place to place. Specific material testing is needed to yield the corrosivity of water. Simple assumption based on the previous projects leads the way for many uncertainties in the selection of materials. Design houses should put efforts on compilation of historic analysis from various projects and formulation of proper Life Cycle Costing approach. Some of the materials appear to be cheaper in the initial phase, but demand for higher operation expenses related to maintenance in the future. 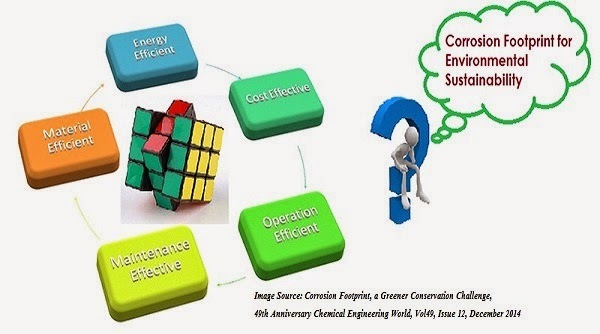 Life cycle analysis is very much needed to select the cost-effective materials. We do not find the engagement of corrosion management professionals in the process of material selection for water infrastructure. This approach should change to conserve the precious water sources and supply contaminant free water to the consumers. Action has been initiated against three officials of the Haryana Public Health Department for their alleged involvement in the misappropriation of Rs 78 lakh meant to lay water pipeline between Ramrai and Jajwan villages in Jind district. While Engineer-in-Chief Khetarpal has suspended a junior engineer, the cases for suspending a sub-divisional officer (SDO) and an executive engineer have been sent to the minister and the Chief Minister, respectively. A sum of Rs 78 lakh was released to the contractor without checking the quality of material used for the project. Leakage was noticed at 175 points during testing. The case was taken up by the Public Accounts Committee of the state Assembly. The Additional Principal Secretary and other senior officials of the department appeared before the committee last week and informed it about the action taken so far.“We have to submit an action-taken report in three months during which we will chargesheet the officials concerned and conduct an inquiry. The JE was suspended before the last meeting of the PAC and the cases as regards two other officials have been sent to the authorities concerned,” an official said. The Public Health Department authorities were sanctioned Rs 2.48 crore for the water pipeline from Ramrai village tubewell to Jajwan village. The villages are around 8.5 km apart and the work on the project was started in May 2015. Water was released in the pipeline in October to test the quality of work. On December 12, the PAC-led by BJP MLA Gian Chand Gupta started investigating the case. It was found that pipes used for the project had failed quality test in the past. It also came to light that the officers concerned released Rs 78 lakh to the contractor without checking the quality of the material used.